Low back pain: What are the symptoms, the causes and the treatment? Home/Low back pain: What are the symptoms, the causes and the treatment? Pain in the lower area of the back. Pain towards the lower extremities, reaching even to the toes. Numbness sensation that can reach the toes. 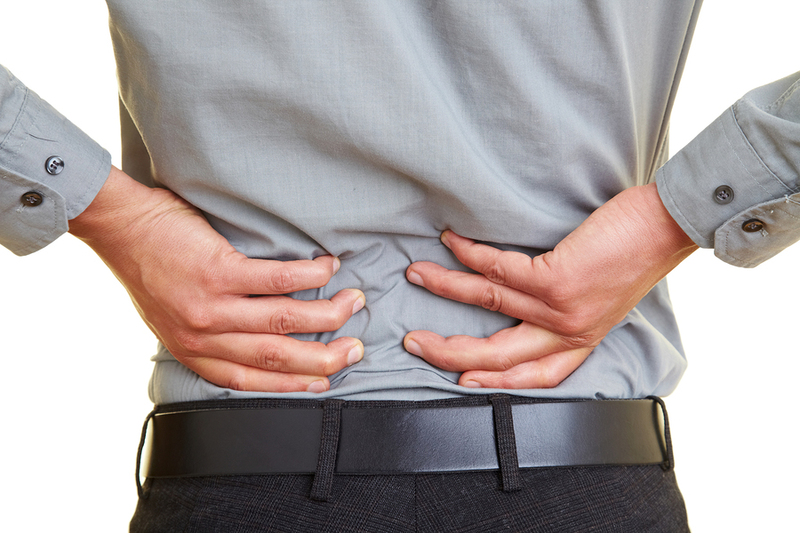 Lumbar pain is one of the most common causeamong the population. Muscle strain: a severe pain in the lower back after performing some activity or movement point. The pain may be accompanied by difficulty moving and may reach the upper part of the thigh but rarely reaches below the knee. Herniated disc : compression of a nerve root as the intervertebral disc moves. The pain goes down to the buttock, leg and foot (sciatica). It is a persistent pain, worse in the leg than in the lower back. Discarthrosis: It is a deterioration of the intervertebral discs. Usually the pain is relieved by frequent changes of position and worsens when sitting. Spondylolisthesis: The sliding forward of a vertebra. Symptoms may include radiating pain to the buttocks and back of the thighs. There is a frequent feeling of tiredness in the legs and tension of the hamstring muscles. Arthrosis of facet joints: In these cases there is a painful area to palpation and loss of flexibility. The pain is more pronounced early in the morning and at the end of the day. Stenosis of the lumbar canal: The nerves can be compressed when leaving the spine, which causes leg pain. Spinal crush: Pain appears suddenly, which gets worse when standing or walking. As a general rule, the possibility of vertebral crushing should be considered after any sudden onset of back pain in adults over 50 years of age, especially in postmenopausal women with osteoporosis. Apply heat to the painful area (20-30 minutes in a row). The thermal therapeutic bag is a good alternative. At bedtime: use a firm mattress , sleep on your side with a pillow between your legs or “face up” with your legs up. Reduce effort , avoid overweight and use chairs with straight backs where you support the column. When catching weight, bend your knees to bend down while keeping your back straight. Exercise is very important, exercise the muscles of the back . Pilates classes are a good option because of the therapeutic benefits offered by the Method. And, above all, do not wait for the pain to increase. Go to a physiotherapist Melbourne regularly as it will help you minimize the appearance of symptoms and at the same time guide you on the correct performance of exercises. Visit a physiotherapist in Caulfield today! Operating both in-person and online, Physio AUS is available 24/7, all over the country. You can also join our online clinic, where members gain unlimited access to our treatment videos and articles, receive discounts on our online courses and enjoy great savings on their consultations. Join today. Take the first step towards getting your life back: call us on 1300 392 552 or book a session at our Caulfield South clinic today!